Delaware, USA – March 27, 2019 – With more than a month into making, this was the longest sprint we had to the date to make sure it is well worth your time. Today, we’re glad to bring you the cutting-edge capabilities for threat hunting and detection as a code. 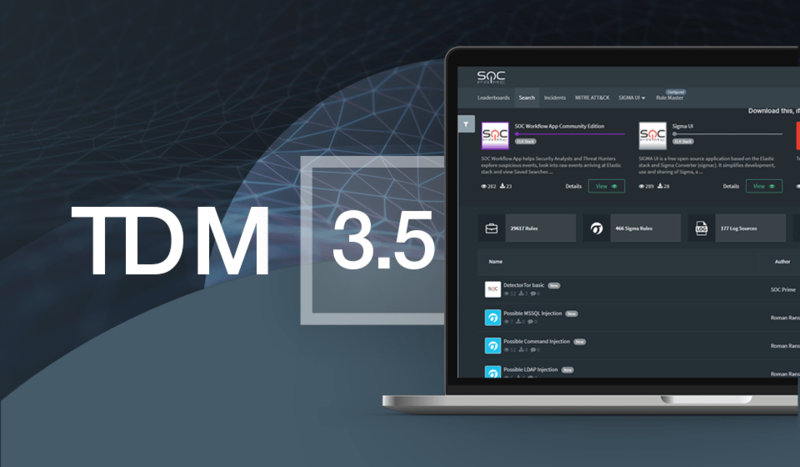 The top used SIEM platforms in TDM are: Elastic, ArcSight, Splunk, QRadar, Qualys and we can help to maximize their capabilities with TAM and Professional services for deployment and support. Any EDR & SIEM that supports Sigma. Any EDR & Endpoint Protection that supports Yara. Any IDS/IPS that supports Snort. With more keys per every subscription tier, be sure to check out the licensing tab. 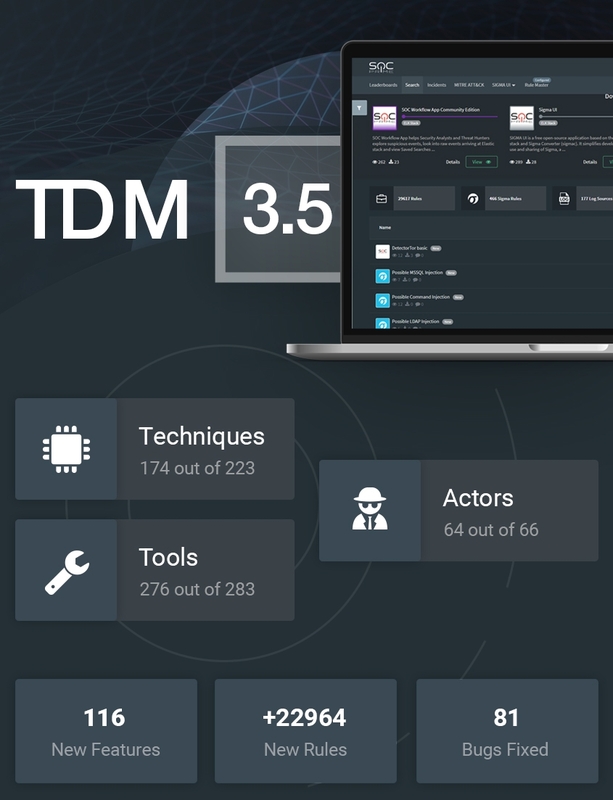 Along with it we’ve re-factored many TDM parts to provide faster load and search performance. Signing up to the platform became as easy as entering your corporate email and clicking activation link. Seriously, no more forms at the signup process, so if you invite a colleague or a friend they will enjoy the experience. As we move into the continuous and agile SOC content era we’d like to reach out to every content developer out there as we’re about to launch the developer reward program! Follow the news or email to content@socprime.com to for the Developer program. ONI Outbrake: Ransomware or a Wiper?